In a week where State of Origin had the RL world salivating, Sunday sees Hornets undertake the long-haul to ‘Old’ South Wales to take on the Scorpions. Essentially a Wales Rugby League Development vehicle, the Scorpions sit at the top of the pyramid for player development in Wales. 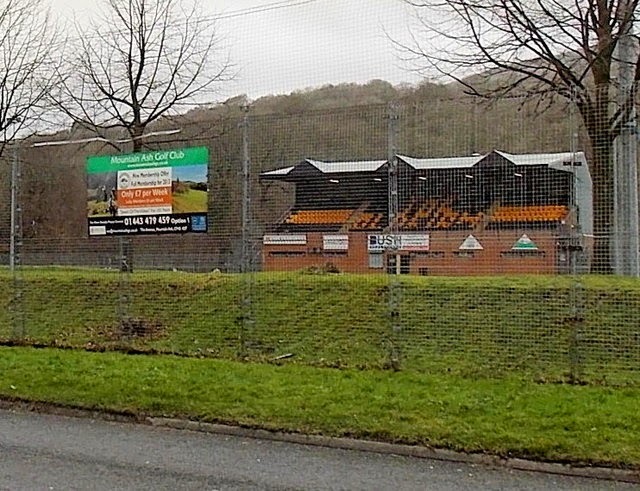 Supported by the WRL as a channel to the pro-game in the ‘rugby heartland’ of the principality, the Wales Rugby League renamed its Academy structure the 'South Wales Scorpions Academy', bringing all age-grade teams under the banner of the Scorpions to provide a clear route from junior to senior level. All very sensible. This season the Scorpions are playing out of Mountain Ash - and you’d be forgiven for never having heard of this tiny dot on the Welsh map. 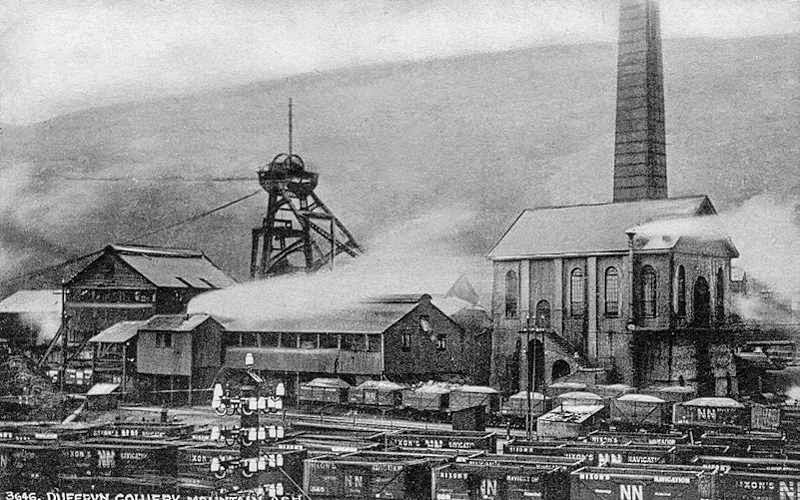 Mountain Ash (‘Aberpennar’ in Welsh) is a town in the Cynon Valley, in the County Borough of Rhondda Cynon Taf, in lovely Welsh Wales. It has a population of around 7,000 - about the same as Kirkholt - and its surrounding districts include the ‘suburb’ of Newtown, which works for us. To say it’s a bit out on a limb is an understatement, whilst only an hour from Cardiff on the train, when we looked at the potential of doing the trip by rail, the one train from Manchester Piccadilly (change at Cardiff) would get you there just after kick-off and the train back would land you back in Manchester at 4.30am on Monday - three changes and a mere nine hours after leaving Mountain Ash. You could be home from Dubai in less time! 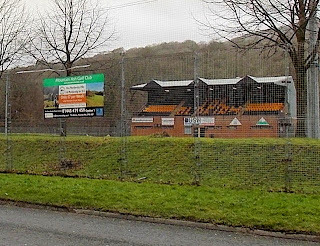 The Scorpions play out of Parc Dyffryn Pennar, the home ground of Mountain Ash Rugby Football Club, which is built on the site of former Deep Dyffryn Colliery which closed in 1981. Our Welsh is a bit ropey, but if we remember what we once learned on holiday in Tenby, Dyffryn is pronounced Duff-Run - and the Scorpions certainly are on a bit of a duff run at the moment : winless so far in 2015. The ground is also the site of the Cynon Valley Miners Memorial - its plaque says “This memorial is erected upon the pit head of the former Deep Dyffryn Colliery in memory of all those Cynon Valley miners whose labour and social conscience shaped our communities and society”. Right on, comrades. Whilst it was built on coal, Mountain Ash’s finest export was Rugby League stand-off Dickie Williams who played for Leeds and Hunslet in the 40s and 50s. Williams won 13 caps for Wales between 1947–1953 while at Leeds, and also won 12 caps for Great Britain during the same period. Later - while at Hunslet - Williams also represented Great Britain against France. Scorpions coach - and ex-Hornet - Mike Grady was philosophical in his search for positives: “For the first 20 minutes we were in the game, but it is the same week in, week out where we have 20-30 minute spells then we seem to collapse. It was always going to be tough after travelling… but we went out there and gave it our all, with the spirit still being good, so we need to keep working and smiling. We had six players out, but the squad are capable of something and it is a matter of being consistent to put in an 80 minute performance”. It’s looking like 2015 will be a challenging year for MIke. Deeply committed to developing the game in Wales, he sees the long-game in building from the bottom-up, but results like this must chip away at you over time. Having been jettisoned out of the iPro Sport Cup by Hornets courtesy of a low-intensity 40-0 flogging back in March, you’d have to hope that dryer weather, a faster track and a chance to pump-up that all-important points difference will work in Ian Talbot’s favour. But as the last two trips to the valleys ended in 2-point defeats, it’s a trip that will require 100% focus if Hornets are to avoid yet another tricky banana - or Pennar-na - skin (see what we did there?). As mentioned, Scorpions play at Parc Dyffryn Pennar, Mountain Ash CF45 4DA - AA Routefinder has it at 4 hours 43 minutes, so leave early and take plenty of breaks folks! Unstoppable Hornets give Oxford the blues. We’d always thought that, when Hornets found the optimum mix of those two key drivers of success - completion and confidence - that someone would get a bit of a hammering. Step forward poor Oxford, who encountered Hornets on a day when a completion rate of 95% and two in-play errors laid the platform for a good old-fashioned flogging that launched Hornets - temporarily - to the top of League 1. Whilst the visitors played at their limit and kept going for the 80 minutes, they spent much of the game either back-pedalling against a relentless tide of pace and power - or running headlong into a brick-wall defence. Hornets went off with the gun - a first minute attack seeing Danny Bridge slip Dave Hull into space, only for the ball to bobble from his grasp. No matter. Hornets went straight back on the attack - a teasing Danny Yates bomb forcing Oxford full-back Thomas into conceding a drop-out. Oxford heaped more pressure onto themselves, shipping a soft penalty. And when the ball was whipped left, a Wayne English cut-out pass sent Dale Bloomfield in for the first of a first-half hat-trick. Crooky good with the boot off the touchline - Hornets up with the clock at 6-nil. Oxford rallied briefly, buoyed by a fumbled ball, but Dale Bloomfield produced a terrific try-saving tackle to dump diving winger Jones-Bishop into touch. Hornets response was rapid and clinical. A rapid set down the left channel had Oxford going backwards and a 15th minute blind-side sneak from Dave Hull into open field found Danny Yates in support to score from 30 metres.Crooky the two for 12-nil. The game took a brief lull as Oxford strove to slow down the play-the-ball and end their own sets with a huge hoof upfield, but when Hornets kept a last-tackle ball alive in the 23rd minute, a sweeping 50 metre spread saw Dale Bloomfield the beneficiary of a pinpoint Paul Crook pass to score his second. Crooky equally clinical with the boot for 18-nil. Hornets continued to press. First Ryan Smith and Danny Yates working an old-skool runaround only for the killer pass to bounce from Dave Hull’s hands. Then a last tackle kick, seized by Jack Ashworth who audaciously dropped the ball back over his shoulder to send the supporting Woz Thompson in to run round and score under the posts. Crooky the two: 25 minutes, 24-nil. To make matters worse for the vistitors, hawk-eyed ref Mr Sweet snagged them for a marginal offside at the kick-off. Two tackles later Jack Ashworth led a phalanx of Hornets four-on-one on the full-back - Ashworth dummying his way past to score. This time Danny Yates with the extras 30-nil. It was looking increasingly like Oxford would need a lucky break to get anything from the half - and it arrived in the 38th minute; Higgins snaffling a loose pass to race in from 30 metres. Kitson added the two for 30-6. Hornets’ response was to regather the kick-off and send Woz Thompson crashing in only to be held-up. From the restart the ball was shipped wide for Dale Bloomfield to score his third try. Yatesey just wide with the kick. Half-time, a comprehensive 34-6. For 30 minutes, the second half was a one-way landslide of points. Matty Hadden first-up with a quick-fire double-whammy - carbon-copy close-range efforts both converted by Danny Yates: 46-6 before most people had returned to their seats. Then on 50 minutes Ant Walker maintained his impressive try-scoring run, steaming onto a short-ball to score off the back of some brutally direct approach work. Crooky the two: 52-6. Two minutes later it was Danny Bridge off a short, flat ball to crash through. Crooky again spot on for 58-6. Withe the hour approaching, Oxford had a good spell: first a 70 metre intercept mopped up beautifully by Wayne English, then a seemingly good try struck-off after the touch-judge saw an off the ball incident in back-play. Mr Sweet preferring to award Oxford a penalty rather than a try. Hornets responded in style, sweeping the length of the field, where Brad Hargreaves was last in a chain of slick passes to score. Crooky the two: 64-6. On the next foray into the Oxford half, Hornets pack bludgeoned Oxford back onto their own line, where Tony Suffolk arrived at pace, wrestling through a mass of tacklers to put the ball down. Crooky the conversion to bring up the 70. With the game ebbing away, Oxford did produce a late, late flourish. A quick tap restart saw the visitors scoot through for Nasso to score at the other end, then good hands sent Gardiner in by the flag to give the score line a thin-veneer of respectability. Right on the hooter, Hornets’ pressure created an opening for Paul Crook to grab a deserved try from close range. The man himself banging over the two for a huge 76-16 win. Afterwards, Ian Talbot spoke about the importance of completion and its effect on confidence. How impressive stats like the ones achieved here will give even the good sides in this division something very serious to think about. With a weekend off ahead of a month on the road, Talbot said that by the time Hornets return to Spotland, we should have a very good picture of where we’re really at for this season. But in the here and now, Hornets are in a very good place indeed. Oxford RL are bit like the Yeti, or Sasquatch, or the Loch Ness Monster. They kind of show-up fleetingly in your peripheral vision and you’re never entirtely convinced that they actually exist until you see them for yourself. This Saturday, Oxford come to Spotland sitting 9th in League one with 2 wins from 5 games. Having run Newcastle close a couple of weeks ago, the second of those wins came last week, as Oxford survived a second half fightback to beat London Skolars 38-24 at Iffley Road. Having led 28-nil at one point, the score was a sphincter-squeaking 32-24 with 15 minutes to go as the home side shipped three tries in ten minutes. Fast forward to this week, and we see that Oxford’s Dual Registered Matty Blythe (Bradford) has copped a one match ban after submitting an Early Guilty Plea for striking in the Newcastle game. Nice work. But where Blythe will spend this weekend contemplating his actions, fellow Bulls DRs Nathan Conroy, Adam Brook and Dave Petersen are likely to feature. regional conference talent, former armed forces players, *nion players and NCL players from the ‘heartlands plus Graham O’Keefe and John James Bird - who’re Irish. It’s a cosmopolitan mix - and a big step forward from Tony Benson’s ’Biffs on a bus’ approach. The man responsible for assembling this pool of emerging League talent is former Castleford Academy coach, Heworth head coach and Gateshead number two Tim Rumford. And it seems he’s a bloke who believes in the power of Rugby League to change people’s lives. On his Linked-In profile he says: “I am passionate about all aspects of Rugby League… I am proud to have guided talented young players to the highest level of elite Rugby League. During this process I have learned that dedicated & committed young people can realise their dreams with the help and guidance of coaches who are equally dedicated and committed to them.” We’ll go with that, Tim. Indeed, everyone leaps for the Saints link when we start winning. Last week we had Ant Walker who’s played with us last season and this; Jack Ashworth, who’s a Rochdale lad anyway and Lewis Charnock who’s played all our games bar one this season. No different to having our own squad players or lads on a season-long loan. Sometimes the difference between two teams comes down to who wants it most. In this tense, tight tussle, Hornets produced a performance laden with grit, determination and persistence to see off near neighbours Swinton. A win built on a foundation of outstanding - and occasionally, breathtaking - defence as Hornets soaked up periods of intense pressure, but refused to crack. Hornets began the brighter of the two sides, on the attack from the very first set: a high kick to the cormer gathered by Dale Bloomfield who drove close, only to hand-over on the Lions’ line. Then another towering effort, fluffed by Lions full-back Atkin to give Hornets a repeat set. This time Hornets worked the ball smartly to the left where Danny Bridge produced a neatly-timed short-ball for Dave Hull to score. Lewis Charnock the two: 6-nil. Swinton hit back courtesy of a soft-penalty and a forced drop-out - R. Hawkyard gathering a teasing kick to the corner to score by the flag. Atkin’s conversion: 6-all. As the game became locked in a taut wrestle, it needed a moment of inspiration. It arrived in the 20th minute: a lightning fast 20 metre restart from Wayne English caught Swinton napping and he carried the ball towards half-way; Gaz Langley continued the momentum; Tony Suffolk next to crank up the momentum, now deep in the Lions’ half. With the visitors’ defence retreating, a beautifully delayed pass from Danny Bridge sent Danny Yates scampering in for a great try. Lewis Charnock good with the boot: 12-6. Hornets continued to press - Jack Ashworth producing a mecurial dummy, but the last pass went to ground. Swinton needed a questionable penalty to relieve the pressure. Having been swept 60 metres upfield, Rothwell capitalised on a defence stretched too far to score. 12-10. Hornets ended the half as they began - pressing hard under Swinton’s posts. With the hooter clearing its throat, Ant Walker not only produced the most outrageous dummy to gallop through a mesmerised defence, he audaciously made a mug of the full-back too as he scored a stunning try under the black dot. Paul Crook now on kicking duty: half time, 18-10. Hornets began the second half with a visible determination: Lee Paterson forcing an early error, then quick hands across the field only for the last pass to go awry. Hornets’ momentum was aided when the Lions’ conceded a penalty for talking after an admittedly peculiar decision from referee Mr Bloem. They then conceded an immediate penalty for a high tackle on Ant Walker. They then went to stand under their posts after Jack Ashworth’s show and go created anough space for him to lunge in from close range and score. Crooky uncharacteristically sliced the kick: 22-10. For the remainder of the third quarter, Swinton chucked the kitchen sink at Hornets. Having regathered the kick-off and forced a repeat set they turned the screw. On 50 minutes Hornets produced a moment of spectacular defence that brought the main stand to its feet. Swinton had stretched the defence to snapping point in search of an opening, and when they fed R. Hawkyard into space out wide, a try looked inevitable as he dived for the corner. But he had’nt reckoned on the determnation of Gaz Langley, Lee Paterson and Wayne English who combined to launch the airborne winger into Row D. Amazing stuff. Swinton continued their sustained barrage of the Hornets line and, as the hour mark approached, they eventually conjured a try out of nothing: a set going nowhere, a hit & hope kick to the corner R. Hawkyard getting hand to ball. Atkin the extras: 22-16 with 20 to play - and Hornets under the pump. A last tackle penalty swept Swinton back downfield, but great cover defence snuffed out the threat; a fluke of a bounce hitting Lee Paterson to give Swinton a repeat set; Gaz Langley millimetres away from an intercept handing Swinton a scrum on the 10 metre line; Langley again mopping up behind the defence to concede a drop-out; D. Hawkyard held-up over the line; a first-tackle suicide pass from Wayne English handing the ball back to Swinton, only for them to cough the ball first tackle. This was tense stuff. The Lions camped in Hornets half for a good 10 minutes, but some frankly stunning defence held them at bay. An exhausted Hornets clawed their way back upfield where Paul Crook’s 72nd minute drop-goal attempt was waved away. Swinton coughed the ball on the first tackle and Hornets went for the kill - but the coup-de grace came in freakish fashion. Danny Yates launched a drop-goal attempt, the ball cannoned back off the post against the blue tide of a retreating Swinton defence, in the scrambling panic that folowed, Yatesey followed up his own kick and - amongst a tangle of limbs - touched down to score. Incredible. Crooky the coolest head in the stadium to add the two. Hornets home and hosed at 28-16. There’s no doubt that this was a benchmark win - the point at which Hornets put down a serious marker at the top end of League 1. And, while Oldham were getting handed their arse at Barrow - exposed having finally played someone half-decent - Hornets climbed into second place in the table. We all knew this season would be tough and tight. But if this was a representation of our challenge in microcosm, then buckle-up - it’s going to be a tense, but thrilling ride. Sorry this is a bit of a truncated, stop-gap preview this week - travelling with work has curtailed the amount of time we’ve had to write the blog. So, rather than the usual richly crafted prose, this is a bit of a hatchet-job chopped out in a busy railway station Starbucks (other coffee shops are available - we recommend Café Newtown and Badde Manors in Glebe: tell them Jim sent you and ask for a discount). Saturday sees the second act in this season’s rendition of one of the Oldest derby games in World Rugby League. The Lions hold the upper hand, having dumped Hornets out of the Challenge Cup (a game we missed because we were at Badde Manors at Glebe), so redemption in a game that matters would be very welcome. Swinton: founded in the bar of the White Lion. So here's a Lion Bar. 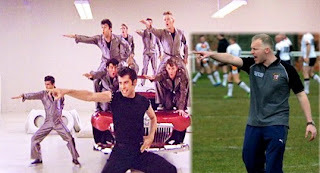 Our rivalry with Swinton is an interesting one in so much as we quite like them. Indeed it’s fair to say that some of our best and most respected friends in Rugby League will be at the game on Saturday - wearing Swinton shirts. And having spent some quality RL time on the opposite side of the world with ‘Swinton Steve’ it’ll be a desperate shame to ruin his weekend. But ruin it we must if we are to maintain pressure in that leading pack of clubs. Swinton - as expected - are snapping at Hornets’ heels in 5th place with two wins and a draw and a game in hand - so a proper old-skool four pointer. Catching our attention this week is the Lions’ centre partnership - it’s Mick Nanyn and Stuart Littler, the latter weighing in with a hat-trick in last week’s win over York. Hornets fans will be acutely aware of the capabilities of these two and we fancy the three-quarters battle to be a key component in who comes out on top. Rochdale Hornets put in a convincing display against Coventry Bears but coach Ian Talbot believes his side have more to give. “We should have beaten Coventry by a lot more points at the weekend. We really have to be more ruthless with the ball and take opportunities when we get them,” he said. Swinton Lions coach John Duffy said: “It was pleasing to get the win against York but in the last seven minutes we conceded two tries, which was disappointing. We have to stop switching off when we get in front, we’ve got to keep our foot down on the pedal so we’ll be looking at that this week. Centre Matt Gardner is a doubt for Swinton. There are free-flowing wins, powerful wins and those tight, ugly wins that you have to grind-out. This was a game that required a cool head, a steady hand and old-fashioned hard-graft to bring home the points. As anticipated, Coventry gave Hornets a stern test - if only for 40 minutes. In a first half of multiple missed chances, Hornets allowed Coventry to cling to the tails of the game. But after the break a noticeable lift in tempo and intensity was enough to haul Hornets to an eventually convincing win. The early exchanges were a taut tug of war, with both sides keeoing it tight on a soggy pitch. But when Hornets did look to move the ball, a forced pass fell fortuitously into the hands of Parker who sprinted 40 metres to gve the home side a shock lead: 4-nil. It would be another 65 minutes before they'd trouble the scoreboard. Hornets hit back with determination, but were unable to make the pressure count. On 10 minutes a huge Matt Haddon break left the Bears defence in tatters, James Dandy carried the move upfield where Lee Pterson went painfully close on the last tackle. On the next carry, it was James Dandy again, this time breaking from half-way only for a cut-out pass from Ryan Smith to soar into Row E. No matter. Two minutes later Hornets again pressed the Bears line hard: Wayne English the neat switch pass to Dave Hull who somehow fumbled the ball as he dived to touch-down. The ‘when’ arrived on 26 minutes; quick hands up the left sent Dale Bloomfield in at the corner. Gaz Langley just wide with the conversion attempt 4-all. Hornets now with the momentum. On the half hour a mercurial break by Wayne English split the home defence, but his inside pass to Danny Yates went to ground; then Jack Ashworth rose to gather a last tackle kick, dropped off to Lee Paterson whose pass went to ground. With the half almost over, Hornets went back on the attack, ths time Wayne English wriggling through a tangle of limbs to score after some frenetic approach work. Gaz Langley good with the two; half-time Hornets ahead by 4-10. Frustrated at the number of bombed first-half chances, Hornets began the second half at a noticeably higher intensity and, within 15 minutes had killed the game as a contest. On 42 minutes Ant Walker belied the number on his shirt, dummying is way to a spectacular 40 metre try, out-pacing the cover on his way. Gaz Langley the extras; 4-16. On 45 minutes, a rapid break up the left, a dink to the posts, Danny Yates teasingly short as he reached to touch down. 47 minutes Ant Walker again blasting through some sloppy tackles from 20 metres to score under the black dot. Gaz Langley the two: 4-22. 52 minutes Woz Thompson arriving like a train off a short ball to score through a pile of bodies. Gaz Langley with the two: 4-28. And when Danny Bridge hit a short ball at pace on 55 minutes to punch through and score, Gaz did the honours to give Hornets an unassailable 4-34 lead. After this whirlwind start, a punch-drunk Bears hauled themselves off the ropes to try and claw their way back into the game. Chivvied by the busy, combative Phillips they pressed, niggled and force a couple of drop-outs. And it was testomony to their desire to keep going when, after a apell of sustained pressure, they stretched the Hornets defence a bit too far, creating space for Boulter to score in the 75th minute. 10-34. But Hornets weren’t quite done yet. With time running out, Danny Yates produced a cheeky last minute drop-goal to bring Hornets home by 10-35. On this showing, we imagine that Coventry will probably be the best of the ‘southern’ teams this term. Having already dispatched Hemel and Oxford, and with Skolars and Scorpions unable to buy a win at the moment, only the All Golds look likely to push them, but we think the Bears have the edge on ‘mongrel’. As for Hornets, the first quarter of the second half is, realistically, the benchmark for the standard we need to play at. High tempo, high completion, high confidence. For a team shorn of half a dozen regulars, though, this was a pleasing performance. Indeed, if the first-half missed chances had been converted, Hornets would’ve been out of sight by the break. Ultimately, this was a hard-working performance that deserved the plaudits of the noisy Hornets contingent. And it’s a good platform to build on for the bigger challenge of Swinton next weekend.